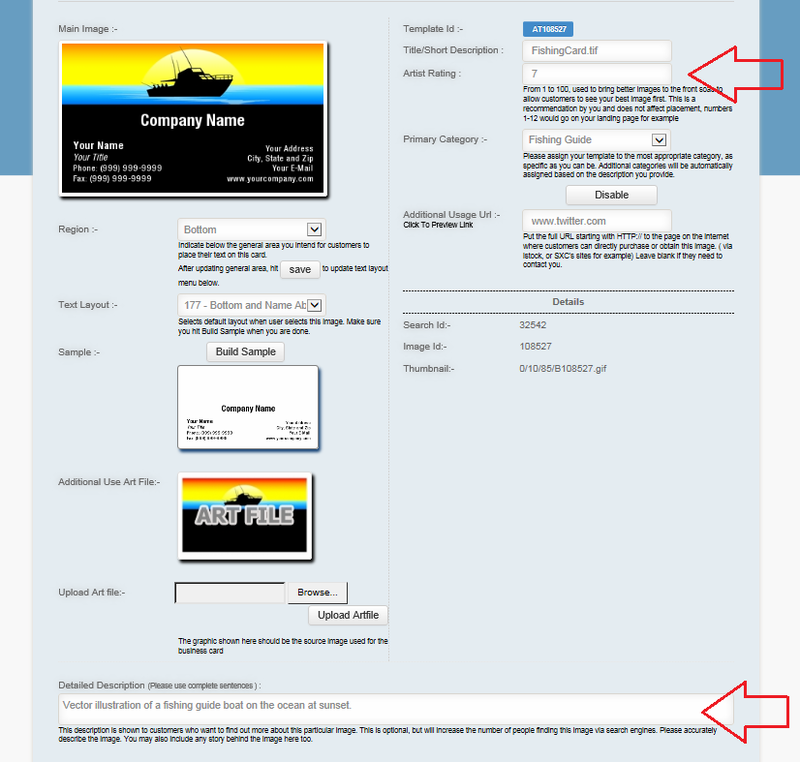 After we have published your business card templates you may edit your template descriptions and rate your templates. Be careful not to edit information you are unsure of. The two things you may want to consider reviewing are the “Description” and the “Artist Rating”. After your templates art published you can view them in the “View Your Online Portfolio” tab. When we publish your templates we will create a short description for them. If you feel you could create a better description please edit the description as you please using the “Edit Details” button. You will have an artist biography page written about you that you will be able to link to from anywhere you like including your social networks. Use the “Artist Rating” box to bring your best images to the top of that page. Rate your top 12 images from 1 to 12. What our artists are saying about CCA- The Art of Business Cards. See what some of the customers are saying about the designs.